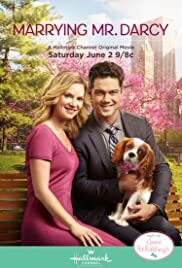 In this modern day spin on "Pride & Prejudice," Elizabeth Scott (Cindy Busby), is fishing for direction in her life and gets the opportunity to professionally show her Cavalier King Charles Spaniel in a fancy New York dog show. I liked the content of this movie. Worth watching. Better then most. Ryan Paevey is a good actor, believable. It would have been better if Cindy busby wasn't in it. She forces her acting, stiff not relaxed.